This premier 6-night safari explores the desert-like area of the Makgadikgadi Pans and the water wilderness that is the Okavango Delta and the game-rich Moremi Game Reserve. Guests will experience the thrill of flying over these breath-taking wilderness areas. This premier 7-night safari explores the desert-like area of the Makgadikgadi Pans and the water wilderness that is the Okavango Delta and the game-rich Moremi Game Reserve. Guests will experience the thrill of flying over these breath-taking wilderness areas via light aircraft transfer. Activities include open 4x4 game drives with experienced game rangers, nature walks, mokoro (dugout canoe) rides and game watching activities, while exclusive, luxurious accommodation is offered at Jack's Camp, Xudum Delta Lodge and Chiefs Camp. 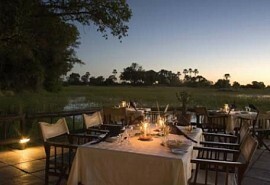 From US$ 8795 per person sharing in low season to US$ 12700 per person sharing in High Season. On arrival at Maun airport, guests will be met by a representative and assisted to their light air transfer to Jack's Camp where they will stay for 3 nights on a fully inclusive basis plus game viewing activities. 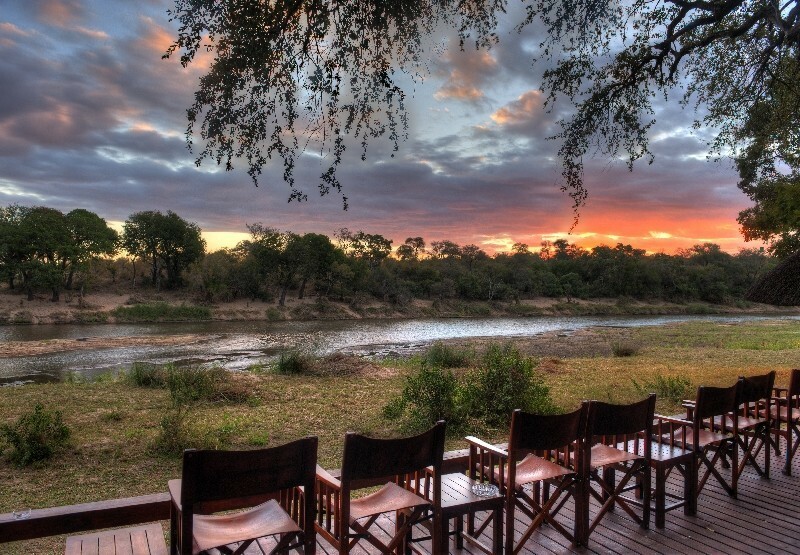 Highlights of Jack's Camp include visits to the meerkats, the Bushmen experience and the zebra migration. 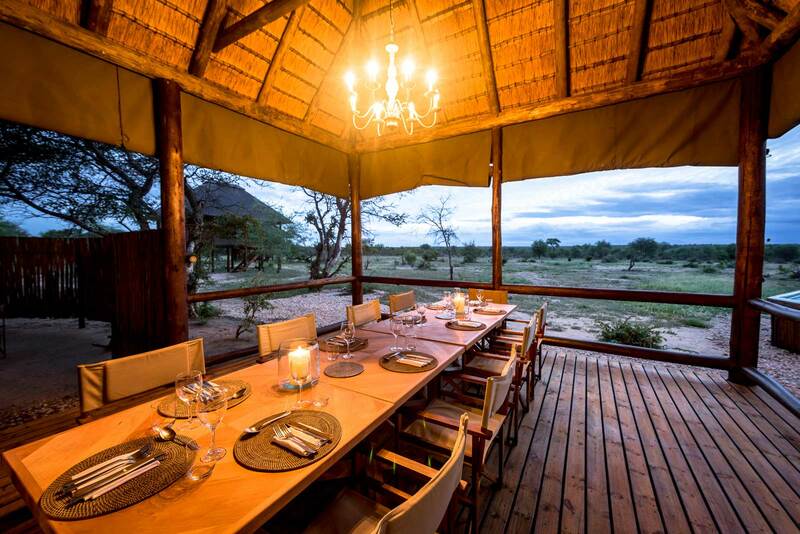 Jack's Camp is a classic desert safari camp accommodating 20 guests in ten large walk-in tents, each with ensuite bathroom with flush toilet and shower. Accommodation is comfortable and keeping with the character of the Makgadikgadi. Facilities include a mess tent for dining and a tea tent with Persian carpet cushions for socialising. 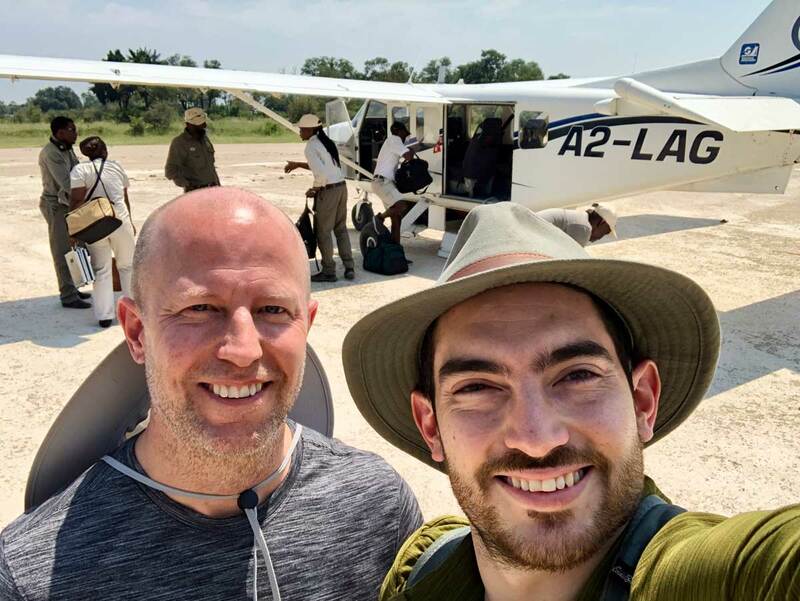 After breakfast and morning activities, guests are transferred by light aircraft to Xudum Delta Lodge where they will spend 2 nights on a fully inclusive basis plus game activities. Activities at Xudum focus mainly on game drives and the water-based safari activities. 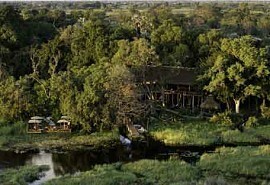 Xudum Delta Lodge is situated in a 25 000 ha private concession on the banks of a lagoon on a permanent channel of the Okavango Delta. 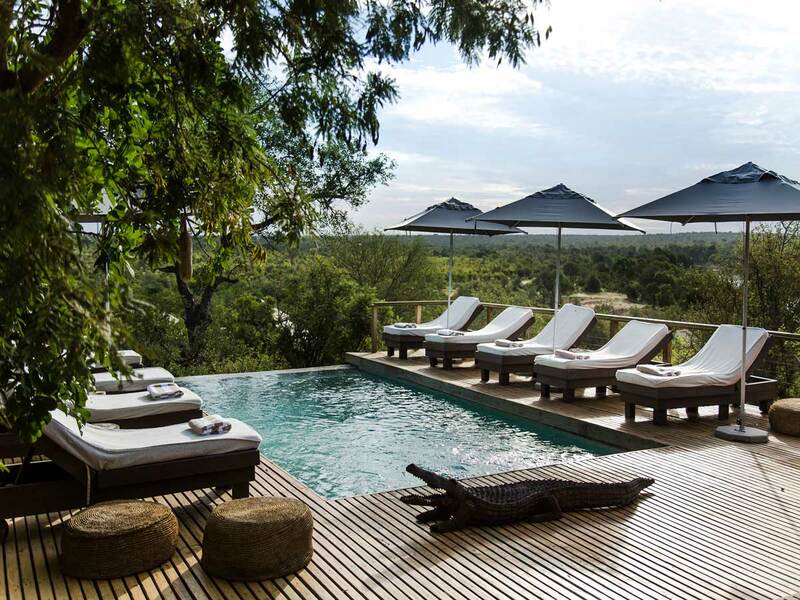 The lodge consists of 9 luxurious, secluded safari suites with ensuite facilities, huge bathtubs and outdoor showers, a private plunge pool and a lofty deck area with spectacular views of the Okavango Delta. After breakfast and morning activities, guests are transferred by light aircraft to Chief's Camp where they will spend 2 nights on a fully inclusive basis plus game activities. Activities at Chief's Camp focus on game drives. Chief’s Camp is situated in the private Mombo Concession of the Moremi Game Reserve, which is known as the 'predator capital' of Africa. 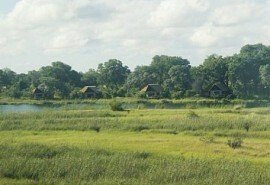 The camp consists of 12 luxury private tents. 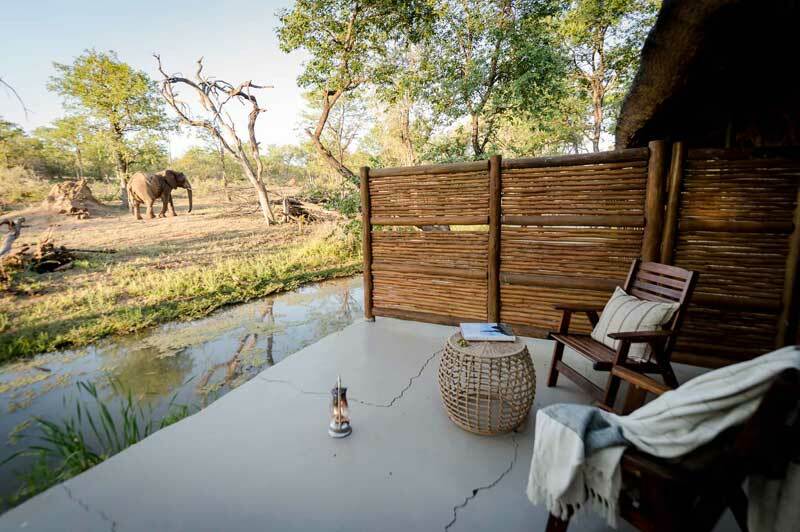 Each unit offers ensuite bathrooms and private game viewing decks, as well as extras like hairdryers, ceiling fans, in-room safes and emergency intercoms.